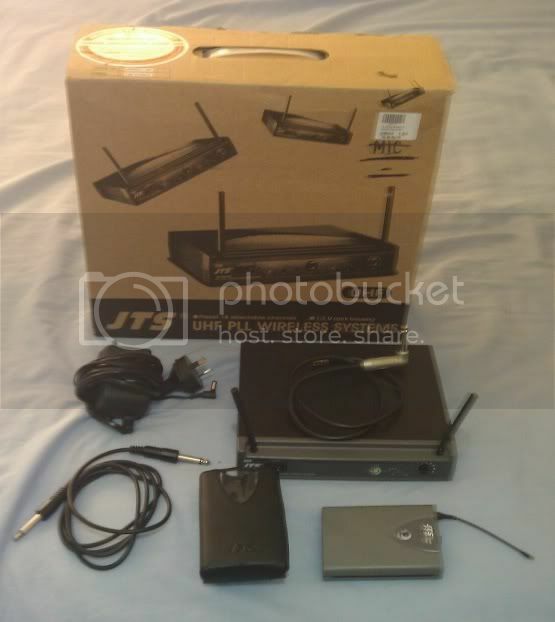 Up for sale is a JTS wireless instrument system (http://www.jts.com.tw/_en/01_professional/01_detail.php?sid=563), which has served me well, but is no longer necessary, as I have moved to a rackmount wireless unit. Comes complete with packaging and accessories. Cost $500 new, asking $300. Open to reasonable offers. Feel free to PM me, reply here, or SMS me on 0420353514 if interested.